In this part two of what I am now categorizing as “What’s in my camera bag that isn’t necessarily made by a photographic company” allow me to introduce zip ties. I know many folks think of duct tape at the king of tapes, but when doing things photographic, I always carry some quantity of gaffer’s tape. If you aren’t familiar with its properties, think of the painter’s tape, with its low residue leaving properties, but on a whole other level of stickiness, and with the cloth like durability of duct tape. 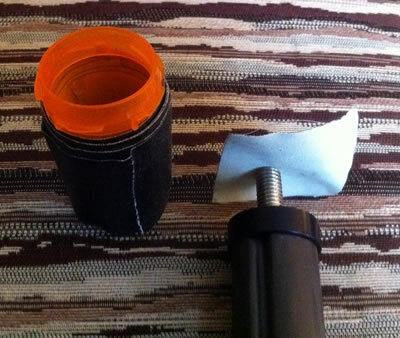 I’m not sure where or how long ago I read the tip, but I highly recommend taking a small amount of the gaffer’s tape off the big roll and wrapping it around an empty pill bottle so you can toss it in your bag without having an entire sort of heavy, roll with you.